Recently, Power Sound of New England was given the opportunity to provide a custom sound renovation for the beautiful, historic St. Leonard of Port Maurice Church, America’s first Italian Parish! This magnificent church, located in Boston’s North End, is home to exquisite marble columns and beautiful ceiling frescos! 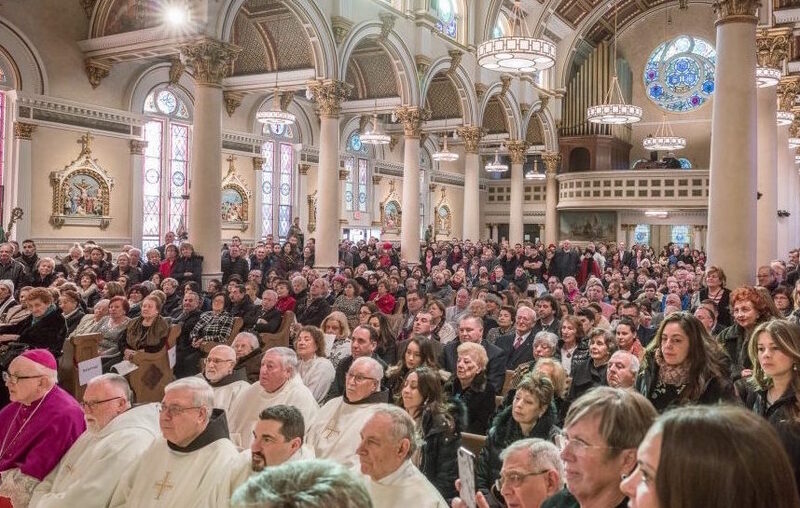 Our goal was to honor the aesthetics of St. Leonard’s, while providing a current, state-of- the art sound system that would enhance the Liturgy and the Music Ministry for all to hear. We were able to accomplish this by designing a system that featured professional series BOSE loudspeakers, which were custom painted to match the marble (insert pics here) columns. Additionally, we installed a Digital Mixing System for the Music Ministry that allows for separate signal processing specifically for voice and instrumentation. Power Sound of New England worked hand in hand with the architect, construction firm & archdiocese of Boston to ensure that all of Fr. Antonio Nardoianni‘s needs were met; including high performance all weather speakers for outdoor Masses.